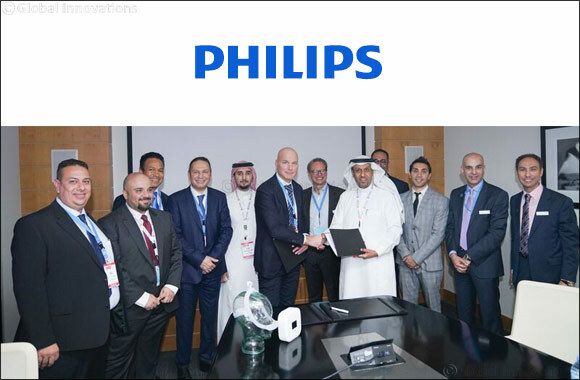 Dubai, United Arab Emirates, 28th August 2018: Royal Philips ( NYSE: PHG, AEX: PHIA), a global leader in health technology, and Habib Medical Group, signed a strategic cooperation agreement to launch an integrated program for diagnosis, treatment and follow-up for sleep disorder patients in Al Habib Medical Group's hospitals. It is the first agreement of this kind in the Middle East in terms of its program inclusiveness as well as the innovative diagnosis and treatment solutions it provides to enhance the efficiency in hospitals. The partnership will deliver a holistic sleep solution that spans the health continuum within Habib Medical Group's hospitals. Philips will provide support in logistics to all sleep disorder units in the Group's hospitals. Philips will also conduct training to the medical, technical, and nursing staff according to the latest international studies and research done in this specialty. The company will also secure the latest diagnostic and therapeutic techniques to provide a program that includes all stages of diagnosis and treatment for patients. This program also ensures a comfortable atmosphere and sense of privacy for the patient, as well as a follow-up procedure to make sure patients are compliant with the treatment. Through this agreement, both companies are acknowledging the importance of Sleep medicine, and Philips is meeting Al Habib Medical Group's need for a full care program in the sleep and respiratory segment, putting the patient at the center of care. The companies will join forces to adopt innovative, therapeutic solutions that will help manage and treat sleep disorders to improve the quality of life for many people in KSA and the rest of the region.